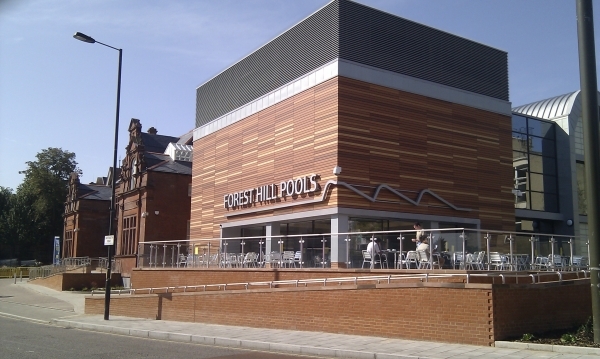 Forest Hill Society: What a Busy Year It’s Been! Over the past year, perhaps the most significant change to Forest Hill that the Forest Hill Society provided input on, was the improvement of Dartmouth Road. After being closed for construction for many months, and disrupting bus routes and access to shops, improvements — including wider pavements, additional parking bays and demarcated road-crossing zones — have resulted in a more pleasant experience for shoppers and smoother traffic flows. Back in March, when we thought that the works were almost completed, the Society — together with Pauline Wright at Sugar Mountain, the Horniman Farmers’ Market and backing from Forest Hill Ward Assembly — organised a street party to bring people back to Dartmouth Road. 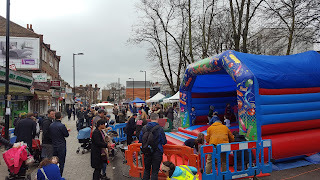 The street party was one of the most visible events organised by the Forest Hill Society in 2018, but also very visible has been the continued work on the flower beds and planters in and around Forest Hill station. As well as maintaining all of the existing plants, this year —with the help of local scouts — we installed a number of new planters on Perry Vale to complement the tyre towers we had already installed there. Adding all these plants and flowers continues to make Forest Hill a more colourful and welcoming place to spend time. My thanks go particularly to Quetta, Joseph, Sheila, John F, John W, Katherine, GoodGym and all the other people who have helped with planting and watering. Earlier this year we organised a couple of walks through Sydenham Hill Wood, taking small groups of people to explore the flora, fauna and history of the local area (ably led by Alona and Andrew); and we have a similar walk planned for 23rd September, this time on One Tree Hill. Other events included a hustings meeting for Lewisham's mayoral election, which we arranged with the Sydenham Society, and a Burns Night Supper at the All Inn One pub. In addition, we worked behind the scenes on other planned changes for the local area. We responded to three consultations that threatened the future of our train services, the consultation of the Ultra Low Emissions Zone’s extension to the South Circular, and several planning applications for residential and commercial development in SE23. Plans to demolish the Bell Green gas works were approved by Lewisham Council earlier this year, but they rejected pans for an Aldi store on the site. The Aldi application will now go to appeal at a public enquiry, to be held later this year. We aided local residents in and around Sunderland Road and on Bampton Estate to oppose new flats that are inappropriate for their chosen locations. As a result, the Sunderland Road site now has a much more sympathetic scheme planned; and we await the council’s decision on the Bampton Estate scheme. Alongside locally-based Discourse Architecture, we have been developing a long-term strategy for the future of Forest Hill’s town centre — especially the area around the station and the pedestrian connections between one side of the railway and the other. There are some great ideas in these proposals, but we now need to transfer them from the drawing board into reality. All this work is made possible by members of the community, who together make a difference to the place we call home. 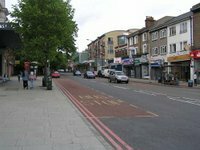 We would love you to have your say and get involved in making Forest Hill an even better place to live and invite you to our AGM on 1st October.